Anders Leonard Zorn (Swedish pronunciation: [ˌanˈdæʂ ˈsoːɳ] ( listen); 18 February 1860 – 22 August 1920) was one of Sweden's foremost artists. 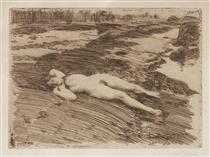 He obtained international success as a painter, sculptor, and etcher. 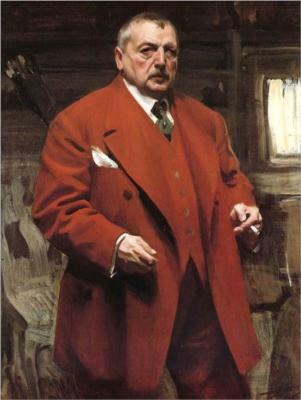 Among Zorn's portrait subjects were King Oscar II of Sweden, and three American Presidents, Grover Cleveland, William H. Taft, and Theodore Roosevelt. At the end of his life, he established the Swedish literary Bellman Prize in 1920. 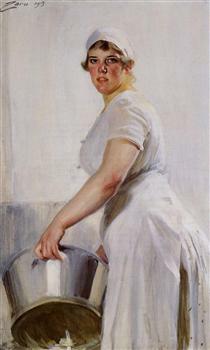 Zorn was born and raised on his grandparents' farm in Yvraden, a hamlet near the village of Utmeland in the parish of Mora, Dalarna. He studied until the age of twelve in the school at Mora Strand before progressing in the autumn of 1872 to a secondary grammar school in Enköping. 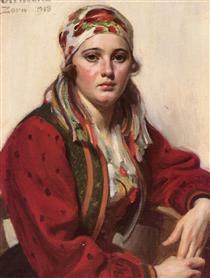 From 1875 to 1880 Zorn studied at the Royal Swedish Academy of Arts in Stockholm, where he amazed his teachers with his talent. Members of Stockholm society approached him with commissions. This was how Zorn met his wife, Emma Lamm, early in 1881. Her background was different from Zorn's. 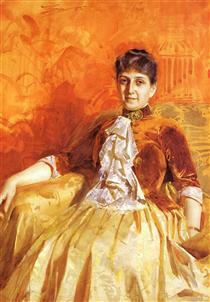 Coming from a wealthy Jewish merchant family, she was interested in art and culture. 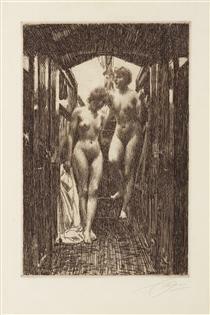 Zorn traveled extensively to London, Paris, the Balkans, Spain, Italy and the United States, becoming an international success as one of the most acclaimed painters of his era. It was primarily his skill as a portrait painter that gained Zorn international acclaim based principally upon his incisive ability to depict the individual character of his model. His subjects included three American Presidents, one of whom was Grover Cleveland in 1899, as well as his wife, along with William H. Taft and Theodore Roosevelt. 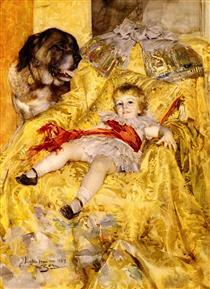 At 29, he was made a Chevalier de la Légion d'honneur at the Exposition Universelle 1889 Paris World Fair. 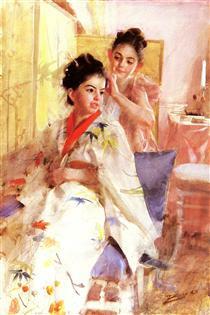 Zorn's art made him wealthy and he was thus able to build up a considerable collection of art. The objects were not only bought in his native country but also during the many travels he made abroad. In their joint will, Anders and Emma Zorn donated their entire holdings to the Swedish State. Some of his most important works can be seen at the National Museum of Fine Arts (Swedish: Nationalmuseum) in Stockholm. Among them is Midsummer Dance (1897), a depiction of dancers in the evening light of a rural Midsummer's Eve celebration. 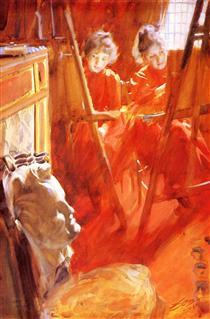 Other museums holding major works by Zorn include the Musée d'Orsay in Paris, the Metropolitan Museum of Art in New York, and the Museum of Fine Arts, Boston. 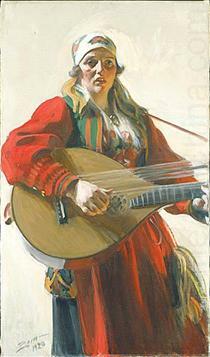 The Zorn Collections (Swedish:Zornsamlingarna) located in Mora and Garberg, Älvdalen, consist of four museums dedicated to the life and works of Anders Zorn. The main museum - Zornmuseet - was designed by Ragnar Östberg and opened in 1939. Shown there are extensive works of Zorn and his collected art by Rembrandt Harmensz van Rijn, 'The Hovingham Master' (Poussin's follower), Bruno Liljefors, Albert Edelfelt, and Pehr Hilleström. The Bellman Prize (Bellmanpriset) is a literature prize for "an outstanding Swedish poet", every year awarded by the Swedish Academy. 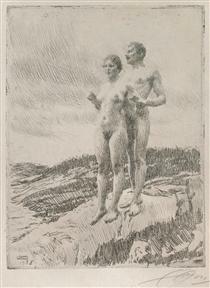 The prize was established by Anders Zorn and his wife Emma in 1920. In 1886, Anders Zorn and his wife Emma, bought land close to Mora church and here they moved a cottage from his maternal grandfather's farm. When Anders and Emma Zorn decided to return to Sweden after several years abroad, they began to enlarge the cottage. Zorngården was completed in 1910. 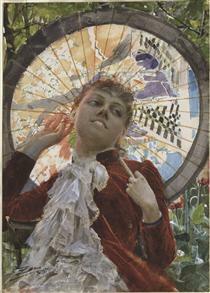 A Portrait Of a Christian De Falbe Anders Zorn ? 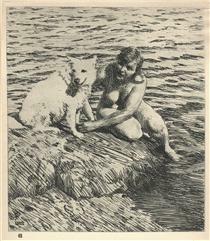 Lisen Lamm Anders Zorn ? 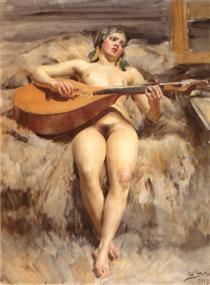 Misses Solomon Anders Zorn ? 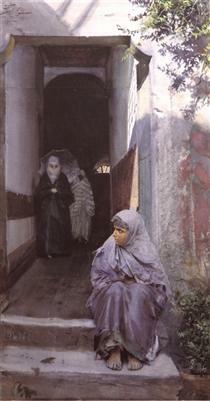 The sisters Schwartz Anders Zorn ?